Providing quality, affordable childcare in a nurturing and loving environment for Middleboro and surrounding areas families for years. We offer a creative curriculum all taught by our well educated and nurturing staff. Our loving and nurturing atmosphere promotes optimal physical, social, emotional and cognitive development and progress for the whole child. We build each child’s self-esteem and self-confidence through quality teacher interaction, gentle guidance of age appropriate play, exploration of self-selected activities, and discovery learning. 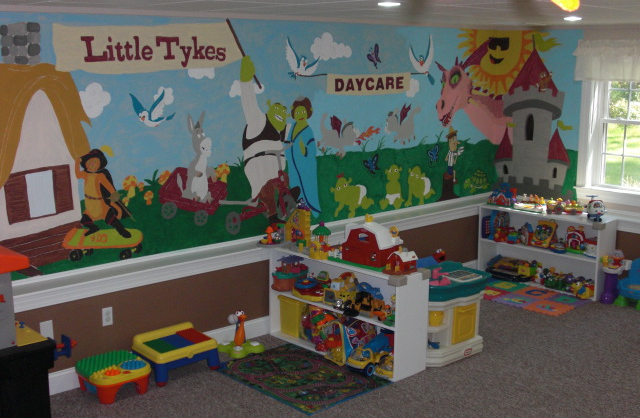 Little Tykes Child Care Center and Preschool is licensed by the department of early education and care. The center is conveniently located near Rt. 28 and 495 in south Middleboro. We offer multiple programs for children ages six weeks to nine years old. Our goal is to provide a fun and safe learning environment for your child, while encouraging social, emotional, intellectual, and physical development. Your child will receive quality personal and individualized care in a warm and loving environment, where they can feel safe and happy and can begin to build confidence and a positive self-image. We have a large fully fenced in outdoor play areas, equipped with fun and safe play equipment. For children of all ages we incorporate lots of fun activities into their daily schedule that include arts and crafts, structured-play, music, song and dance, painting, coloring, various creative and educational projects, science and history exploration and much more. Additionally, for children ages 2.9 through nine, we offer structured preschool, Pre K and before and after school programs as well as vacation and summer programs for all aged children. Because of these points, we feel we are able to provide the best of both worlds (learning and fun, all in one).